Estate. They form two stepped linear monoliths which echo the texture of their surroundings. 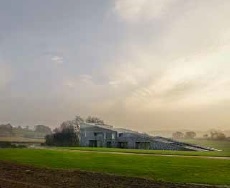 The flint building material reflects that found in the surrounding landscape and the colours fade up the building to white to blend with the sky. 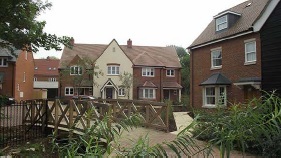 to Bearbrook provides a green corridor and mature trees have been retained on the site. 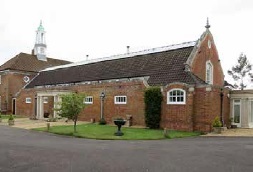 A new Village Hall in the style of an oak barn with weatherboarding and tiled roof. A highly sustainable and accessible building set in the centre of the village which combines its traditional appearance with an light spacious interior which is very popular with the villagers. A contemporary 5-bedroom house designed to respond to its sloping site and to respect the nearby listed historic property. The scheme is thoughtfully designed to positively contribute to and enhance its surroundings. 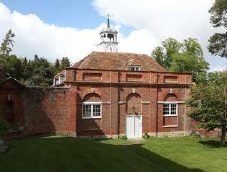 Restoration of one of a pair of Grade II* listed pavilions at Chilton House, originally housing stables and with a hayloft and later a groom’s flat above. Following advice from English Heritage the building now provides ground floor office space making use of the original stable divisions. The upper floor is divided into two 2-bedroom flats which retain the historic character. 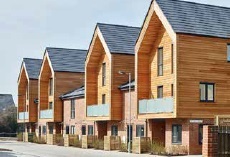 Redevelopment of a derelict factory site in the centre of Haddenham to provide 50 new homes. The scheme reflects the locally distinctive character of the village with Witchert walls, the use of a variety of local materials and in its layout. 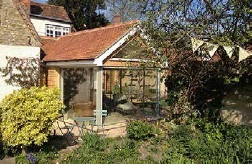 A family room extension to a Grade II listed house designed to link the house with the garden. The new room gives views to the garden and access to a newly created courtyard. The project also provided a family gymnasium. The Grade II listed former Pool House at Stockgrove Park has been converted to a functional and contemporary home which respects and responds to the original structure. The building height and high level pool windows are now sympathically incorporated in the dual mezzanines served by a central staircase above the main living areas. 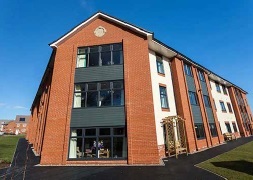 A new care home built in an attractive open site on Buckingham Park. 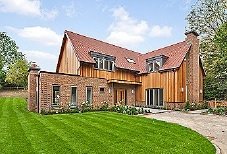 Its design offers both a pleasant home for the residents and relates well to building design in the nearby local centre.